When you bring home your baby from the hospital, they’re completely dependent on you for everything from nourishment to neck support. It can be nerve wracking as a parent to trust friends and family members with keeping your infant safe and supported. That’s where we come in! 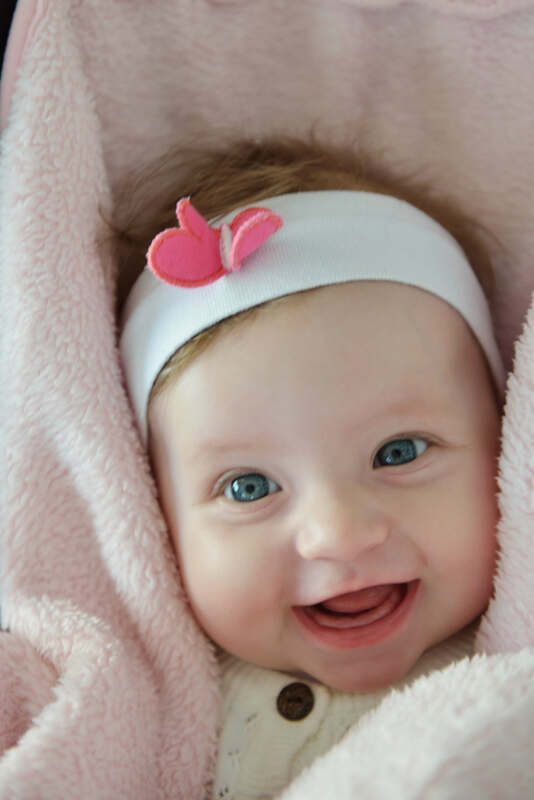 The BundleBee baby wrap provides soft, comfortable neck support for babies, giving parents peace of mind, whether they’re holding the baby or Grandma is. So how long do babies necks need to stay supported? No two babies are the same. While one infant may gain mobility at 6 months, another won’t until 9 or 10 months. But there are a few developmental estimates new parents should look for. 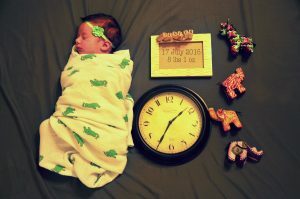 In the first month of life, babies are wholly dependant on parents, even for movement. Your infant may respond to the sound of your voice, focus his eyes on your face, and make short, jerky head movements (especially when lying on his stomach), but he still needs neck support when held in your arms. Your baby has started showing off her personality through sunny smiles and curious babbles. By 3 months your infant should be able to control her head during tummy time. Some fast-moving infants can even push up their bodies at this stage, which is the final step before learning to roll over. You should still provide your infant with comfortable neck support, but reach out to a doctor if she’s having trouble supporting her head on her own. It’s time to retire that Bundlebee for infant neck support. While it’s still a comfortable baby wrap, your baby should have good neck control by 4-6 months. If he spends his time looking around the room, grabbing and throwing toys, and pushing away blankets and socks, it’s time to think about the next developmental horizon: crawling! Bundlebee baby wraps provide comfort and support to infants. Shop our styles today. 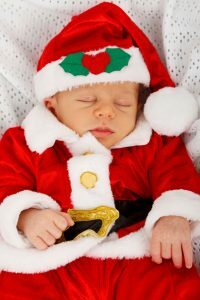 The holidays wait for no one, even new parents. The prospect of flying (or even driving) with a newborn is more than daunting. For many parents, traveling with an infant seems like an impossible task. But it’s not only doable, it’s something that gets easier every time. Get a head start on your baby holiday trip checklist with these tips we’ve learned from experience. Stick to a schedule. Unless you’re spending a month with your parents for the holidays, it’s not worth it to adjust your baby’s schedule. Even if you change time zones, stay as close as possible to your normal feeding and sleeping schedule. Leave the extras at home. The last thing you want is to keep track of books, toys, and other baby stuff you don’t really need. Stick to the basics (pacifiers, a teething ring, etc) and leave the rest at home. Plan ahead. A little peace of mind goes a long way. Research a good pediatrician in the area you’re heading and program his or her info into your phone. Plan your breastfeeding schedule ahead of time so you don’t wind up leaking mid-flight. An extra pack of white onesies (or 5). At home you may break out the bleach, but if you’re stuck in an airport, it’s easier to throw a soiled onesie in the trash and move on. A carry on. Whether you’re flying, driving, or traveling public transport, you won’t want to dig through your luggage to find what you need. Pack diapers, creams, pacifiers, bottles, booties, and anything else you need to make it through the trip. Bundlebee baby wrap. What’s the #1 baby item you can pack to give you peace of mind on your trip? Your Bundlebee. It folds down to fit into your carry on, and it’s easy to clean in case of unexpected spills. The coconut fiber neck support is removable, so you can store it in your suitcase and reinsert it before passing your baby around to aunts and uncles at a holiday gathering. Traveling with an infant is easier with a 10-second swaddling blanket. Shop for a Bundlebee baby blanket before traveling this holiday season. While conventional wisdom used to have babies sleeping on their backs, bellies, sides, or whatever weird sleeping positions they twisted themselves into, the medical community laid down the official word in the ‘90s: putting babies on their backs reduces the risk of SIDS. But that gave rise to another concern: flat head syndrome. New parents, you’re right to worry about flat spots. 47% of newborns develop flat head syndrome. Babies have soft skulls to make childbirth easier and give their brains room to grow. But a soft skull combined with laying on their backs 24/7 is likely to make a dent (pun intended). The good news? Most infants lose the flat spot as they get older. The better news? There are steps parents can take to prevent flat head syndrome. Loving arms. Carrying your baby around not only encourages intimacy, it also gives them less time on their backs, reducing the chance that they’ll develop a flat spot. Try to prevent too much time spent in a carrier or car seat. Shiny distractions. Preventing flat head syndrome isn’t just about getting babies off their backs, it’s also about strengthening the muscles in their necks, backs, and core. A mobile is a great way to get a baby’s head moving (and encourage curiosity). Equal (breast) treatment. Just like encouraging your baby to look around, switching sides during breastfeeding will strengthen different muscles in your infant’s neck, reducing the likelihood of flat head syndrome. Tummy time. While newborns spend a lot of time sleeping, tummy time is a great way to spend their waking hours (okay, minutes). Lay on the floor beside your baby, distracting her with toys and books. Need a little yourself? Lay on the floor on your back, giving you and your infant tummy-to-tummy time. The right swaddle. 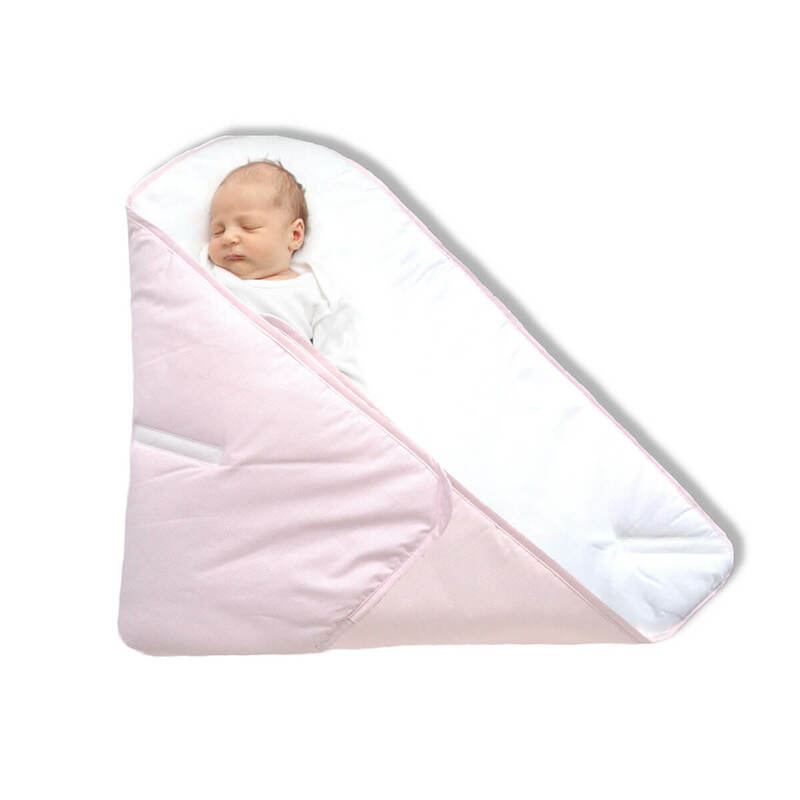 Unlike many swaddling blankets, the BundleBee gives infants comfort without restricting their movements too much. With built-in neck support and a soft, breathable fabric, it’s the secret to a peaceful night’s sleep. A safer, more comfortable night’s sleep is in reach. Shop BundleBee swaddling blankets or contact us to learn more about the 10 second swaddle. When you find out you’re pregnant, everything is sunshine, rainbows, and frantically preparing for the next nine months. Moms and Dads spend pregnancy buying, planning, and going to doctor’s appointments – in essence, thinking about “baby” nonstop. Second-time parents know what to expect (fewer freak outs! ), but their world isn’t the only world that’s changing. 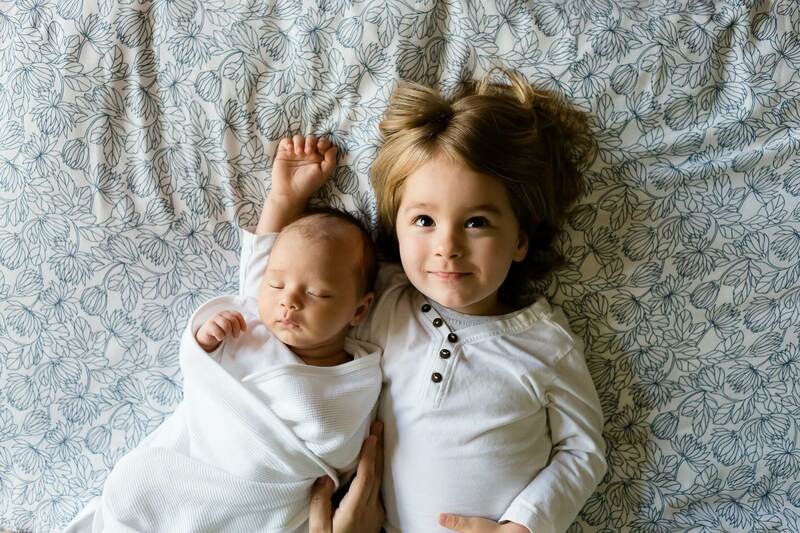 How can you prepare your older kids for a baby sibling? Hear ye, hear ye! Find the right time to share the news with your child(ren). It’s a good idea to wait until the second trimester to tell toddlers, who don’t have a good concept of time (and may blab before you’re ready). If you have older and younger kids, decide if you want to tell them together or keep it an “oldest sibling secret” until the right time. Prepare for an adventure! Make your older kids part of the experience. 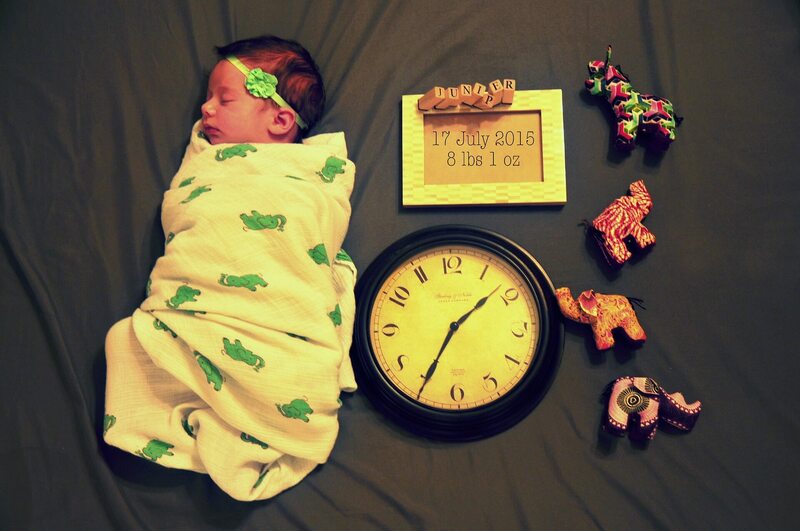 Go through their old baby pictures, telling them what to expect when their sibling arrives. Many kids love “big sibling” uniforms like a cute t-shirt or badge. You can also enlist them to share the news with friends and neighbors who don’t know yet. If you need some cute “big sibling reveal” inspiration, there are plenty of adorable pictures on social media. Enlist the forces. Get your older child involved in your pregnancy. This may mean asking for an opinion when choosing a baby name or having your toddler help pack your hospital bag. Don’t forget to ask for input when choosing the color/print of your BundleBee 10-second swaddle. The main event! Even the most excited older sibs can get jealous when the new baby arrives. Whether the grandparents bring your older kids to the hospital or your toddler waits for you at home, make them feel special. Greet your big kid, making a big show of how much you missed them. When they meet the baby, talk to them about their new sibling role. A BundleBee baby wrap supports infants, making it easy for siblings to hold them without fear. Sit your child firmly in a chair or on a couch, arrange the baby (wrapped in a safe swaddle) in their arms, and stay close to provide added support. Whether your child passes down their BundleBee or helps shop for a new color for your baby shower registry, we have everything you need right here. Shop online or check out our easy care steps for your new easy swaddling blanket. When in doubt, your pediatrician can answer almost all of your new parent questions. However, it’s easy to forget to ask, especially if you are rushed during your appointment. You may even feel silly asking basic first time parent questions. Here are answers to 7 questions almost every new parent asks. My baby has a fever. When should I call the pediatrician? If your infant is under three months old, you should call your pediatrician if her temperature is over 100 or if she doesn’t seem well, regardless of temperature. How long is too long for my baby to cry? It’s ok to pick him up if he’s crying. However, if his crying is keeping him awake, you should consult with your pediatrician. Do I wake up my baby to feed him? It depends on the baby. Smaller newborns should be woken every three hours to eat. Should my baby sleep on her back? Yes, all healthy newborns should sleep on their backs as a SIDS precaution. Swaddling is an easy way to help infants sleep on their backs. When can my baby sleep without a hat or being swaddled? Your baby doesn’t need to wear a hat when sleeping unless he’s premature, or he has a problem gaining weight. Swaddling provides comfort to infants and may be continued until the baby rejects it. Most babies benefit from swaddling until 3-6 months of age. How old should my baby be before I take her out in public? It’s a good idea to avoid crowds until she’s at least three months old. This will give her immune system time to develop and protect her from infections. When will my baby sleep through the night without needing a feeding? Once your baby starts feeding frequently throughout the day and is gaining weight normally, they may begin to sleep through the night. Ready for the good news? You can soothe your infant, reduce the risk of SIDS, and help regulate your baby’s body temperature with BundleBee’s 10-second swaddle. Learn more about the benefits of our easy swaddle blanket or shop options now. Newborns can be tough. Even after being fed, they can cry for hours, seemingly without reason. Fortunately, there’s a thing called swaddling. Swaddling wraps a baby snugly to recreate the warm, cozy conditions of the womb. Research shows that swaddling is an effective way to calm a newborn and help them sleep. It also helps their fragile bodies keep nice and warm. But be careful–when done improperly, swaddling can be a risk to your baby. Always make sure that you follow the correct steps when it comes to a swaddle. Choose a blanket for your baby that is comfortable, soft, and breathable. Lay it out in a diamond shape, and fold down one corner. Place your baby face-up with their head just above the level of the folded edge. Take the right side of the blanket and fold it across your baby, tucking it underneath their right side and leaving their right arm out. Take the bottom corner of the blanket and pull it over your baby’s feet. Make sure that their hips can move freely and that their legs are not drawn up too high. Infant hip dysplasia can result when a newborn’s legs and hips are too immobilized. 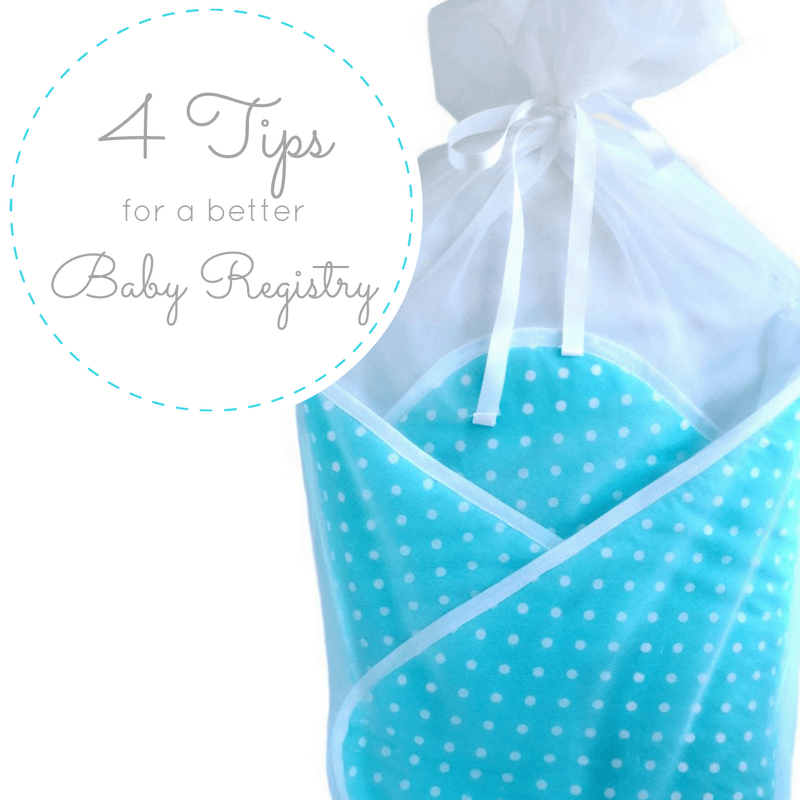 Take the left side of the blanket, pull it securely across your baby and tuck it in to hold the swaddle together. Cross your fingers and hope that the swaddle stays when your infant starts squirming. Shouldn’t things be simpler than this? At BundleBee, we’ve perfected the art of the swaddle. Our easy swaddle blankets are soft, safe, and comfortable, giving babies a warm feeling of security and better support than a normal swaddling blanket. Parents can keep infants warm and content without worrying about hip displacement from a swaddle that’s too tight. What’s so great about BundleBee? Cuter than all your other swaddling blankets – perfect for baby shower gifts! Don’t take our word for it; see for yourself why parents love BundleBee baby wraps. Turns out, the kangaroos have it right. More and more hospitals are encouraging kangaroo care as a way for parents to bond with their newborns and help their bodies adapt to the real world. Originally developed as a solution for high mortality rates for premature babies, the benefits are clear regardless of the health or size of your infant. Big, small, or somewhere in between, kangaroo care is something expectant mothers and fathers should seriously consider. Kangaroo care is a bonding method modeled after marsupials that (as your nursery walls could probably tell you) carry their babies in a pouch on their stomachs. Newborn babies are placed on their mother or father’s naked chest to create direct, skin-to-skin contact. Not only does this contact encourage the bond between baby and parent, it has numerous health benefits too. It regulates infant body temperature. After all, Mom’s body heat is what she’s used to! It stabilizes the baby’s heart rate and breathing pattern. It promotes weight gain in infants by regulating their body temperature (less lost energy) and increasing breastfeeding rates. It makes breastfeeding easier, helping the infant learn more quickly and feed more consistently. It also stimulates milk production by helping to regulate mom’s hormones. It stimulates oxytocin and reduces cortisol (the “cuddle” and the “stress” hormones, respectively), making the baby happier and reducing pain for any necessary prenatal tasks like drawing blood. It helps babies sleep better. It decreases maternal anxiety, and in some cases has been shown to reduce symptoms of postpartum depression. It builds a bond. This is especially helpful for fathers, who don’t have the intimacy of breastfeeding to help them bond with their babies. Infants recognize their father’s voices from their time in the womb, and skin-to-skin contact helps to fully establish that bond. As much as we’d like to, we can’t kangaroo cuddle our infants 24/7. When you’re sleeping, passing the baby around, or just really need a shirt, turn to the BundleBee Baby Wrap for a soft, supportive cradle for your newborn baby. Nothing beats the joy of becoming a parent. Sure there are challenges–the 9 months of waddling, the frantic budgeting, the 6-18 months without sleep–but when you hold your child in your arms, every trouble is inexplicably worth it. And then your bundle of joy starts crying. He’s not wet. She won’t eat. And sleep is a thing of the past for everyone in the house. How do people do this? There’s no one-size-fits all secret to parenting. Babies grow fussy, siblings get jealous, and even the best of us snap after one too many midnight feedings. But there are some tricks to keeping your newborn happy. Just follow our lead. Fall in love. Research shows that babies who are connected with their parents are happier overall. This connection helps attune parents to their infant’s needs and provides a sense of safety and contentment for the child. Some hospitals encourage skin-to-skin contact immediately after birth, especially for dads, who don’t have the intimacy of breastfeeding to help them bond. Other ways to bond with your baby include “baby wearing” (holding your baby in your arms or a sling), which develops the connection between parent and child and often results in less fussy babies. Treat yourself. You’ve heard the phrase “happy wife, happy life”? The same goes for parenting. You may feel like Baby runs the show, but if you ignore your own needs, your infant will sense the discord. Take some time for mom and dad, and the whole family will be happier. Ask for help. It’s okay to ask your husband to wake up for that 4am feeding so you can get some rest, or call your mother-in-law so you and your husband can go out to dinner. Remember what we said about taking care of yourself? Your family and friends are there to support you. Talk to the doc. That’s what they’re there for. Wrap ‘em up. Swaddling reminds babies of the womb, making them feel safe and comfortable. Instead of fighting to keep your baby’s arms and legs in place so you can perform a complicated maneuver with the baby blanket, treat yourself (and your baby) to a BundleBee Baby Wrap. Feather-light and hypo-allergenic with built-in neck support, it’s a simpler, more soothing swaddle. Want to learn more about the BundleBee Baby Wrap? Call today. Just What Is Swaddling All About, Anyway? If you’re a first time mom, you may already know about swaddling as a general concept. Swaddling has been around for millennia. Carvings from as long as 4,000 years ago depict swaddled babies, and historical texts are full of mentions of swaddling infants. In fact, swaddling was the go-to practice for soothing newborns until the 17th century, when popular science decided that swaddling was a “parent cheat” that made it easier for parents and nannies to neglect their newborns. Luckily for moms everywhere, the call to abolish swaddling was ignored, so we can still enjoy the benefits of swaddling today. So why do we swaddle? Safety. 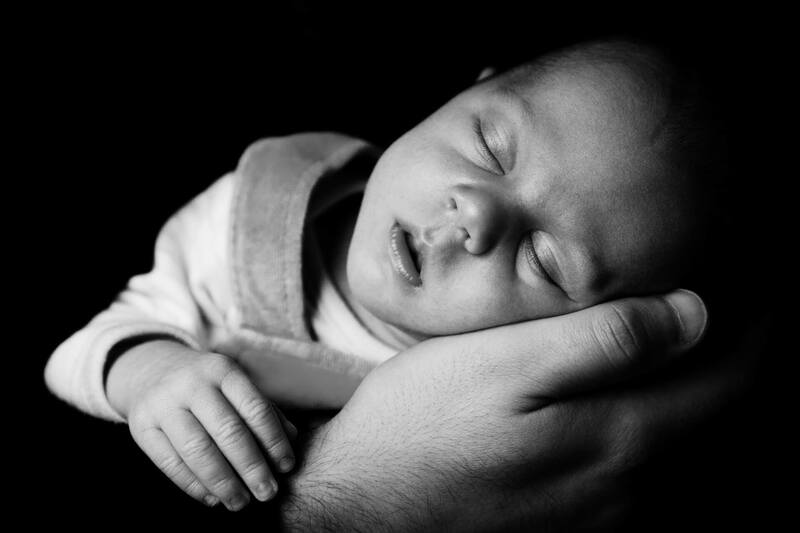 In the 1990’s, medical researchers determined that the best way to prevent SIDS (sudden infant death syndrome) was for infants to sleep on their backs. Swaddling is a simple and effective way to help babies sleep better on their backs. Swaddling keeps infants contained, which makes it harder for them to flip onto their stomachs or accidentally cover their faces with blankets. Sleep. Swaddling helps infants settle, allowing them to sleep for longer periods of time. As many parents know, babies are prone to wake themselves with sudden, jerking reflexes during sleep. Swaddling keeps their arms and legs from making sudden motions and startling themselves awake ten (extra) times per night. Silence. Studies show that swaddling reduces crying. Many parents give up on swaddling when it seems to make babies fussy, but give it a few minutes and your baby should soothe into silence. Swaddling is also a great building block for other soothing methods like white noise and movement. Security. Despite the many benefits of swaddling, swaddling too tightly can increase the risk of infant hip displacement, among other things. The BundleBee Baby Wrap gives infants the comfort of a swaddle without the dangers associated with a poor swaddle. Baby Wraps are adjustable, contain back and neck support, and are made of hypoallergenic materials, making it simple to soothe and swaddle whether Mom’s in charge or she’s passing her infant to a friend for a cuddle. To learn more about easier swaddling, shop BundleBee Baby Wraps on Amazon. A baby shower lets expectant moms stop stressing and focus on fun. Surrounded by food, games, family, and friends, baby showers would be worth the effort even without the gifts. But there are gifts. Gifts that spin, gifts that glow, gifts that are YES, gifts that are NO (can you tell we’ve been reading Dr. Seuss?). So how can you guarantee baby shower gifts you actually need, instead of letting guests (and let’s be real, you and your husband) get swept up in, “Ohh, it’s so cute!”? Two words: baby registry. Don’t forget the fun stuff. Yes, those bedazzled headbands aren’t actually useful . . . but your baby girl sure will look adorable in all her baby pictures! Indulge your inner mom by registering for a few things just for fun. But start with the basics. Before you consider brightly colored toys your baby can’t use until 6 months or later, it pays to start with the boring basics. You can never have too many onesies, diapers (in varying sizes), and lotions, shampoos, and creams. A baby registry is a great place for more expensive basic baby items like a breast pump, stroller, swing, diaper pail, and a few IOUs for free nights of babysitting. Do your homework. If you’re asking for a more expensive item (like a carseat or stroller), research specific brands before putting them on your baby registry. Ask your mom friends what they like, research safety ratings online, and if possible, play around with a display model in the store before putting it on your wish list. Think style and function. Colorful onesies aren’t the only baby items that are both useful and adorable. Infant must-haves like the BumbleBee baby wrap make great gifts because they’re cute, comfortable, and make parents’ lives so much easier. Ask for a specific color (or two!) on your Amazon baby registry, or rely on the good taste of your best friend or mother-in-law. Your baby will look adorable wrapped up in a 10 second swaddle no matter what color you get! Amazon makes baby registries easier than ever. Shop, read reviews, and put the BundleBee Baby Wrap on your baby shower wish list today.